Wizard101 has some fun stuff happening all over the Wizard101 fansites. That's right Wizards you get to build a Wizard101 puzzle, here are my first pieces to show you. 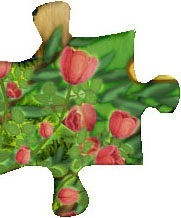 Over the next few weeks all participating fansites will be posting these puzzle pieces. 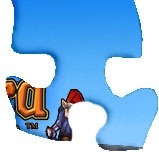 These puzzle pieces are hints to the next new thing coming to Wizard101!!! I am not so great at graphic programs but I know how I would put this puzzle together. Find each piece, print it and cut it out and build the actual puzzle with your family or friends. Have a puzzle night. Fun! Can you find all the pieces and put the puzzle together? To find out more visit Mystery Puzzle Page at Wizard101.